I enjoy listening to my clients’ stories for information that I can translate into a personal and unexpected touch in their home design. 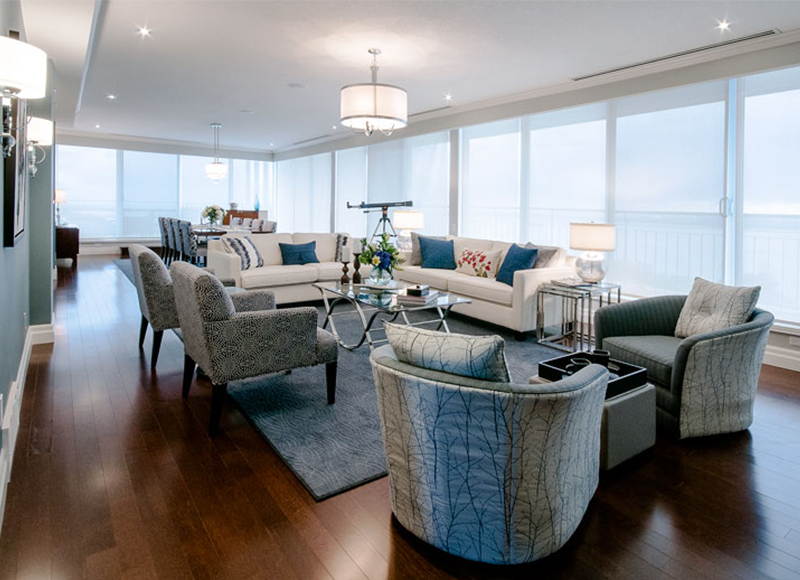 In this Bayside Penthouse project, the space was gutted and completely redesigned; we decorated in a serene blue and cream palette that my client Kathryn loved. In the course of our work together she told me about a happy year she spent in France, and the bougainvillea that grew everywhere. 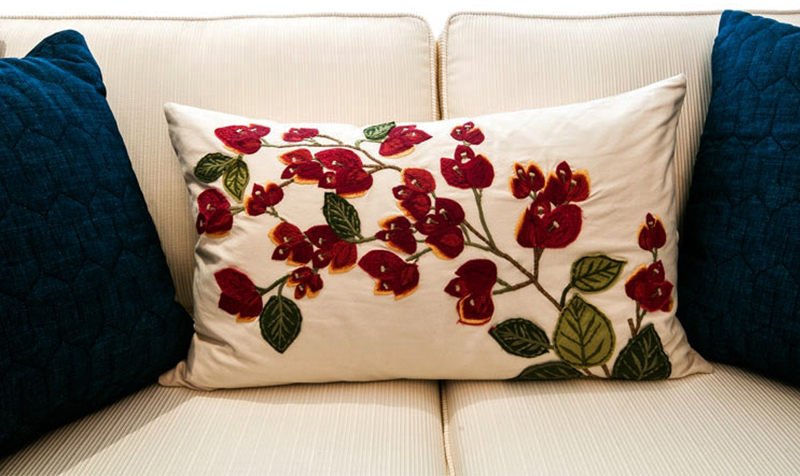 I discovered and immediately snapped up a small toss cushion embroidered with her beloved flowers- the only colour splash in an otherwise cool palette. It was a visual link to her past that connected her to the new space and is a constant, happy reminder of her French hiatus.